As the year progresses we find more and more businesses are starting to wake up to opportunities that the uncertain UK economic climate is presenting. The largest corporations are hesitating, which means smaller, more agile businesses are better placed to disrupt the competition and seize the initiative. Digital Transformation is key for growing companies to make the leap to the next stage, and it’s at the heart of everything Influential does. From Business Intelligence solutions to our best-practice Software Development teams, we are seeing an increase in the number of agile, forward-looking businesses engage with our specialist teams to help them move to the next level. If your business needs to take the next step, contact Influential today. Our 365 Recruitment team is now dedicated to MuleSoft recruitment services, an area that has seen growing demand for skilled developers and engineers. As a certified MuleSoft Partners offering MuleSoft Licences, Services and Support the extra ability to provide our clients with MuleSoft experts further ensures MuleSoft projects hit the ground running. As a result of the new direction, we’ve also re-launched 365 Recruitment website to focus purely on MuleSoft Recruitment services. We are also developing a MuleSoft community to support our clients, as well as job candidates. As demand for SaaS (Software-as-a-Service) continues to grow the market and products are maturing. For SME’s there are now real alternatives to on-premise analytics and business intelligence solutions. Now, powerful cloud-based business software offers better ROI for small teams looking to get the edge, through competitively priced and flexible subscriptions. To get the best ROI on software training staff is vital and this is particularly true for powerful Business Intelligence tools. To meet our clients increasing requirements for BusinessObjects skills our training team have introduced a series of new BusinessObjects workshops and private courses, with regular training offers available. The Colas Group is a world leader in road construction. Its railway division is a global and European leader of rail infrastructure services and supplies. Colas Rail are award-winning specialists having designed and constructed all forms of railways across Europe. In the UK Colas Rail combines the engineering skills of all the Colas Group’s specialist businesses to provide total solutions in all aspects infrastructure for railways. Their solutions range from high-speed rail systems to light and urban rail. Port of Dover was originally established in 1606. It is a vital international gateway for the move of trade and passengers that has grown to become is Europe’s busiest ferry port. The business administers and maintains the Port of Dover and its facilities. A key requirement of the business is to develop resources to meet future demands. 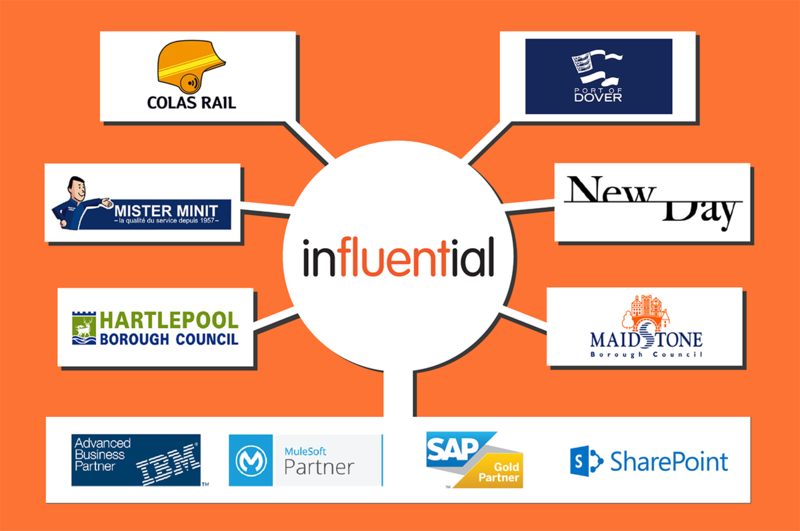 Influential are specialists in digital transformation and taking growing companies to the next level. Mister Minit was founded in Belgium in 1957 as a shoe repair service to offer a rapid and efficient heel repair service. With over 60 years experience they repair over 4 million shoes each year, copy 6 million keys, and have over 1000 stores. Mister Minit originally formed stiletto heels were the fashion and the Brussels cobblestones were damaging them by the thousands. As traditional cobblers couldn’t cope with the demand, taking an average of ten days to get them repaired, Mister Minit found a niche in quick, quality repairs. As a forward-looking business, they ensure they keep ahead of trends and now offer services such as smartphone repairs. New Day is a leading consumer finance providers and specialists in the UK credit card market. Their company ethos is that customers are at the heart of their Manifesto and the Manifesto is at the heart of their business strategy. It is key that their customers are not a short-term revenue opportunity but form a lifelong relationship. This ideology makes NewDay a perfect match for Influential. Hartlepool Borough Council is the local authority of the Borough of Hartlepool, a unitary authority of County Durham, north-east England serving over 90,000 residents. Maidstone Borough Council is a non-metropolitan local authority for the Borough of Maidstone in Kent, serving a population of over 166,000 residents.